First impressions are extremely important and can make the difference between multiple showing, multiple offers, higher prices and quicker sales. 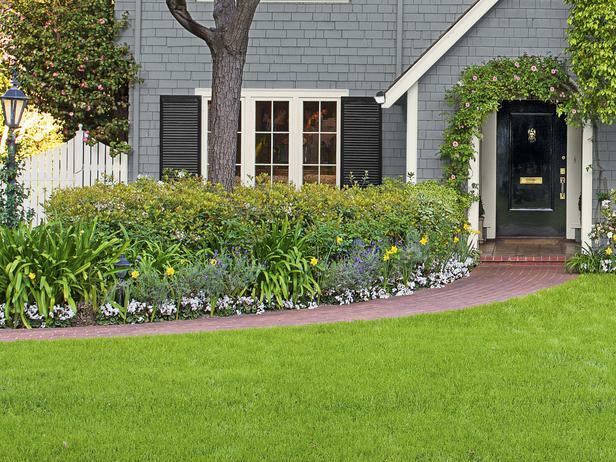 Your home’s curb appeal is an important component of that first impression and is well worth your attention. These tips should help boost your cub appeal , create interest for your home and encourage showings. Mow the lawn, edge the sidewalks and trim the bushes. Buy new address numbers if your are old or faded. Paint your front door an appealing color that suggests a warm welcome. Eliminate the clutter near your front door. Look around the outside of your house and notice what needs to be cleaned, repaired or replace… and then follow through. Buy some flowers- they can add a splash of color- whether they are in a pot, a hanging basket or beds along the front walk. Use outdoor lighting to showcase your home. Lights in the proper spots can make your home appear more attractive and inviting. Another thing to consider is power washing the outside of your home, porch, deck or patio. Repair cracks in the driveway. It can give the impression of neglect. Lat but certainly not least, after all your care and detailing, be sure to take photos. Most people (75-90%) start their exploration for a new home online. If your listing photos do not stand out you might not get an opportunity to make that first impression in person. These are just a few small projects that you can take on that will result in a positive impact. It will be well worth your effort.